When Marshall McLuhan declared, “The medium is the message” it was 1964, and Gen Xers were just starting to populate the world. Fast forward two generations and millennials literally live in the medium, where the message can be shaped and formed at will. Social media is not just about communication any more but rather a fourth dimension in which our lives unfold in parallel to the real word, which it is oftentimes re-created to fit our online existence. 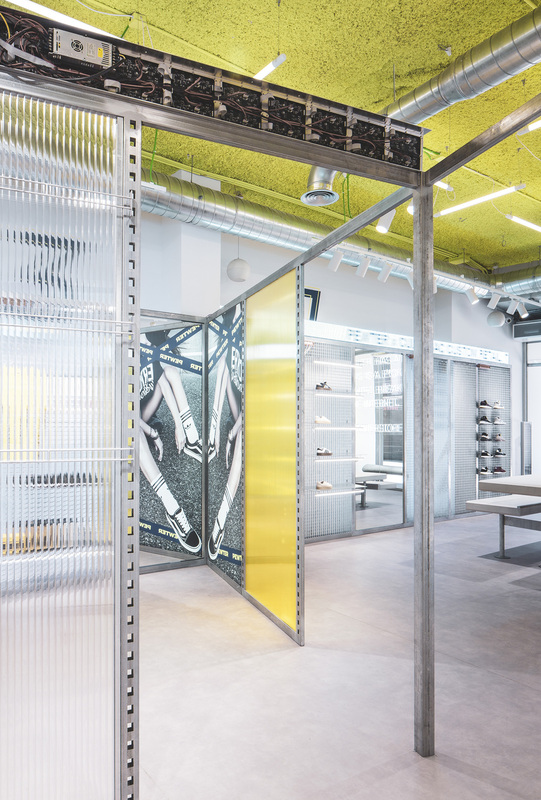 Sportwear brand Pewter's store in Gandía outside Valencia in Spain is a vibrant case study of the non-existence of physical limits in our brave new world. 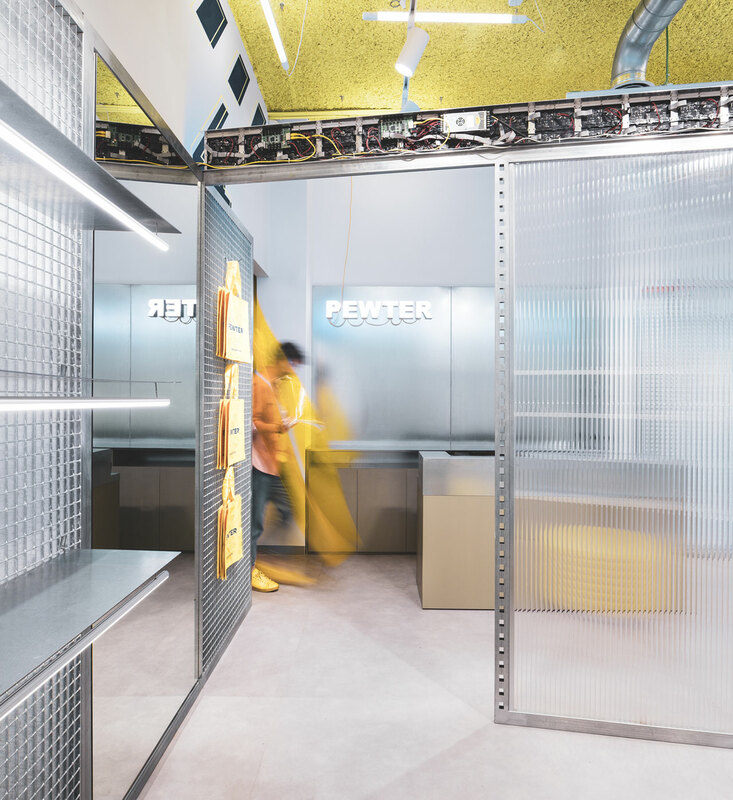 This is a space that focuses primarily around creating a communicable and photographable identity, labeling itself “a mobile-friendly concept”. 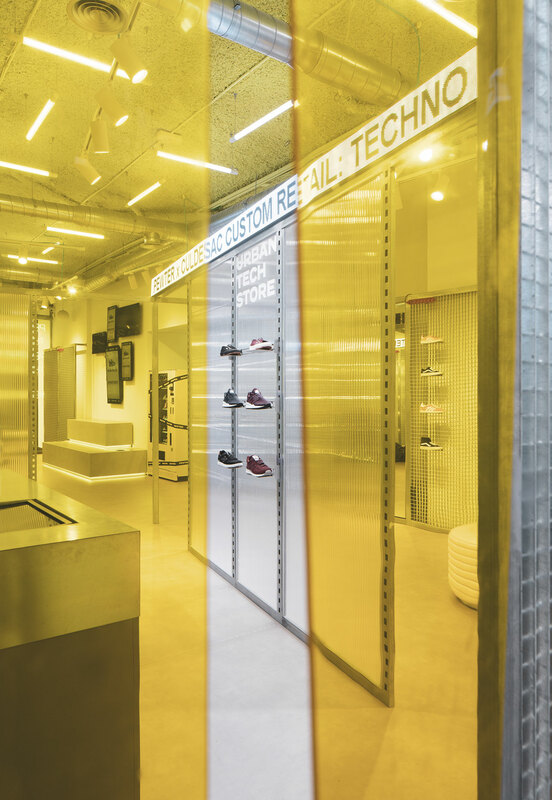 As the brand's first flagship store, it proposs a new kind of retail concept where shopping blends with socializing, both physically and online, by creating an ideal setting to populate socila media timelines. 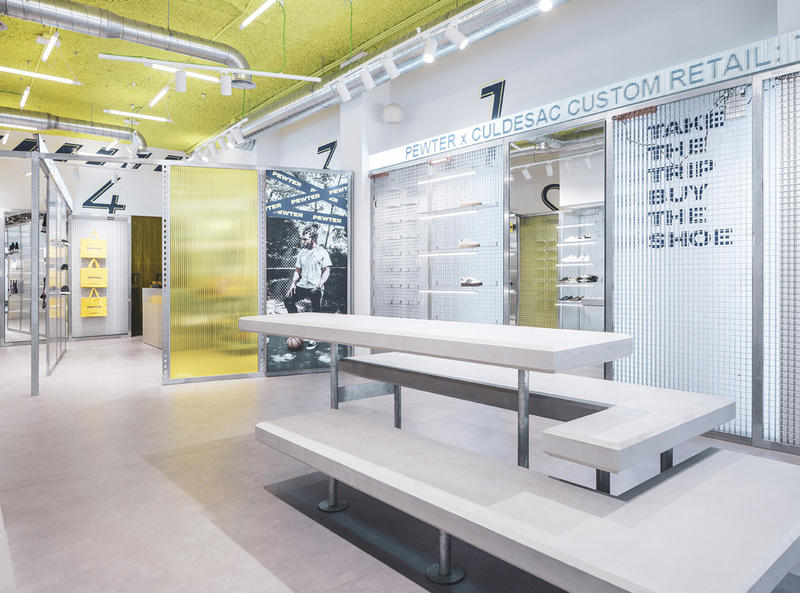 Behind this recently launched endeavor is CuldeSacTM Custom Retail, a strategic and creative consultancy that explores alternative ways to carry out interdisciplinary projects for spaces, products, events and PR. 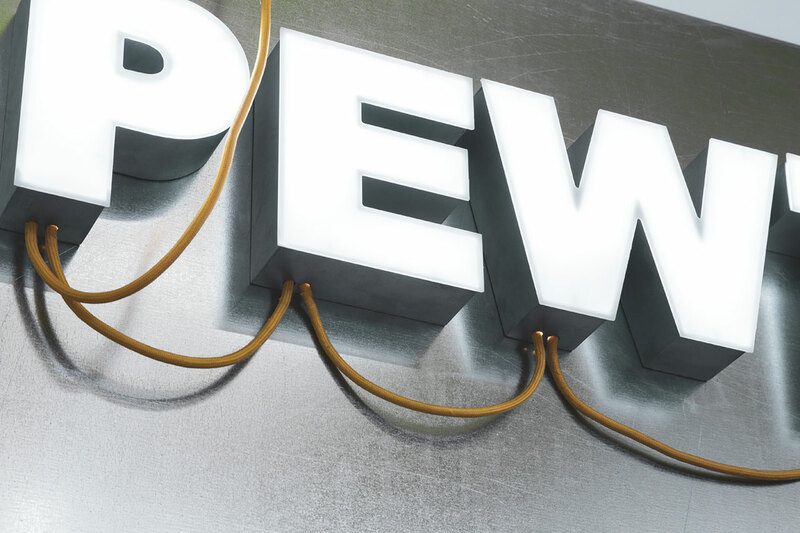 From concept creation to branding and communication, CuldeSac has birthed Pewter as a 360° brand. 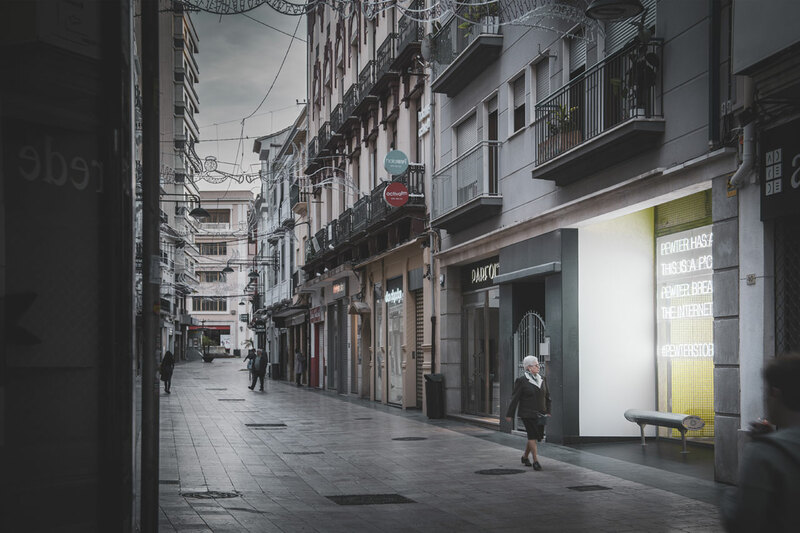 Nestled in a cozy and picturesque city street, the first thing one sees in lieu of a traditional display window is a large, direct message that speaks the language of its target group, Generation Y and Z consumers. 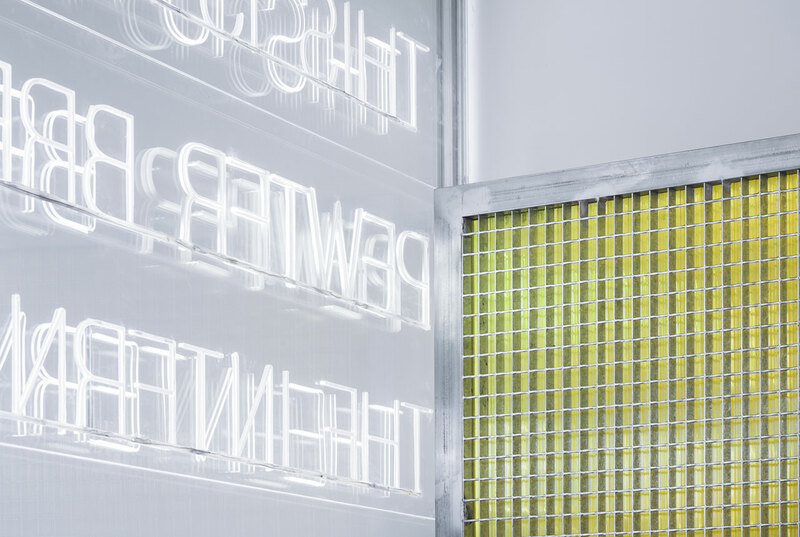 McLuhan would have had a field day if he saw that a store, as a new type of medium, literally creates the message. 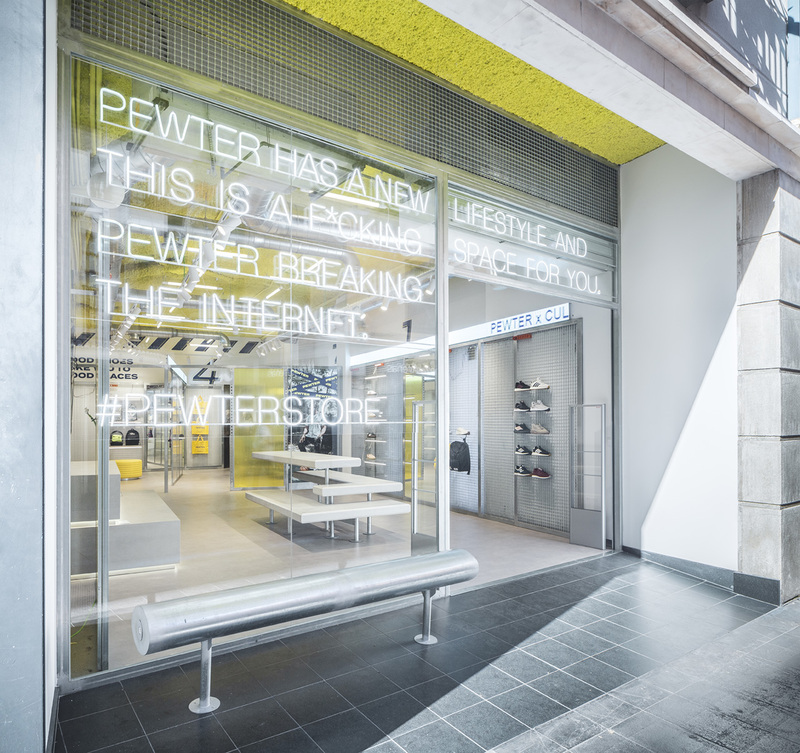 Right under the bright hashtag that serves as Pewter’s shop sign is a metallic bench that works as an extension to the public space, urging the customer to use it as an entranceway to its instagrammable universe. 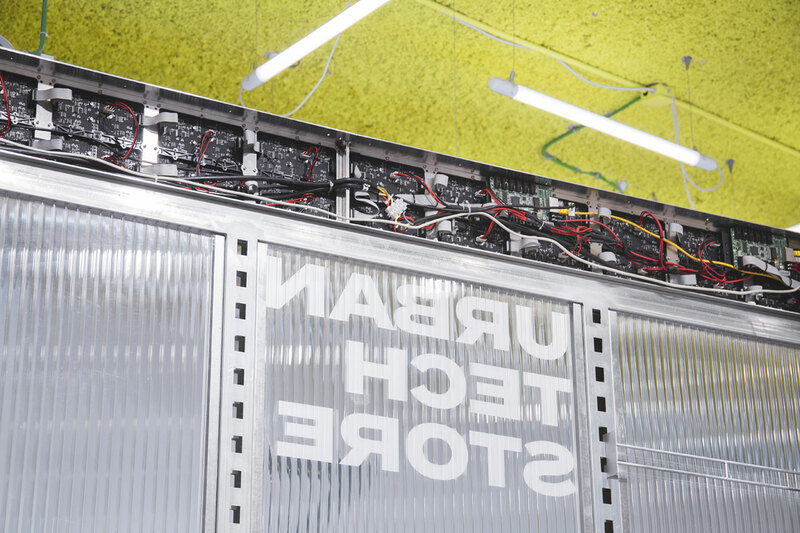 The wide glass window offers a clear view of the inside, where a large, multi-surfaced white stand invites for laptops to be opened and discussions to get going, serving either as a meeting spot or an “office for the day”, to use the proper lingo. 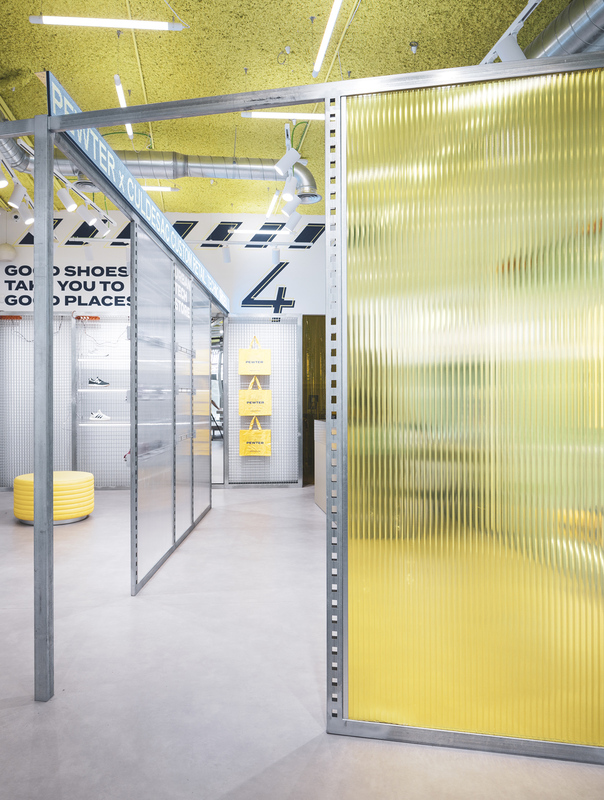 Metallic grids, transparent or yellow polycarbonate and PVC vertical panels create an original layout where the typical deco rules of retail do not apply: A path simulating large prefabricated concrete slabs leads you to a curation of products exhibited vertically on the panels while interacting campaigns with moving, LED texts generate a stimulating marketing scenario. Even the shopping bags can be seen on display, standing as a tongue-in-cheek nod to our addiction to branding. 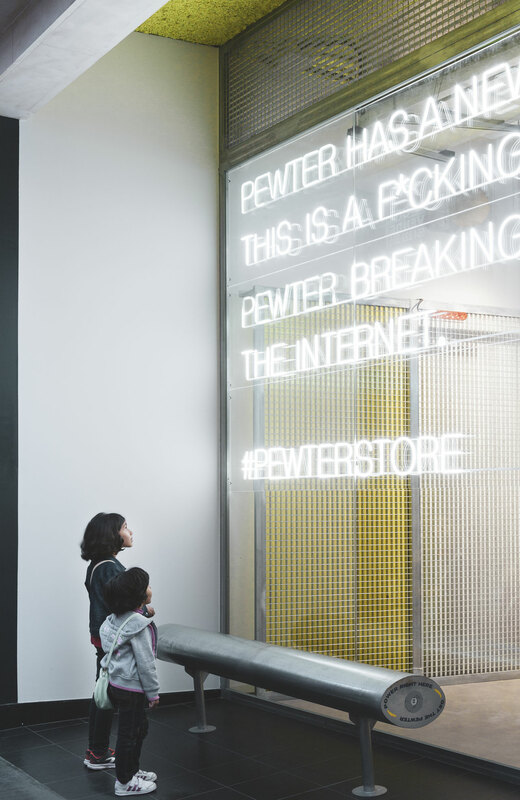 Connecting space to brand, customer and cyberspace, Pewter store is a successful experiment of how the keys to consumption are linked to the power of social media, in a world that, as its creators say, “worships the selfie”. In this era of overnight internet hits, it is more than appropriate to say that “word of mouth” has now given its place to “becoming viral”. And Pewter store succeeds at just that.